This plain leather coin purse or pouch comes in a variety of colors, shapes, and sizes, but it always appears empty on initial inspection. 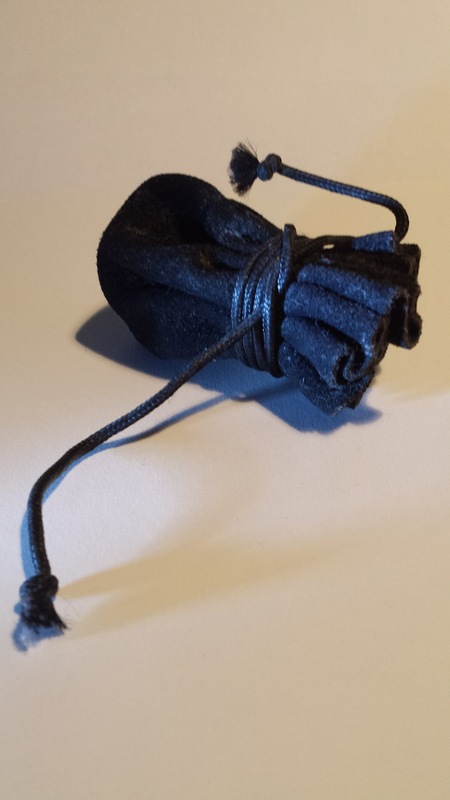 It radiates low-level conjuration magic, and coins stored inside will disappear within an hour. Activating the purse's magic requires paying for a purchase of some sort. If the owner holds the purse in hand while agreeing to purchase something needed for survival or security (food, basic shelter, a mundane weapon when unarmed, mundane armor, climate-appropriate clothing, torches, tinderboxes, etc. ), the purse perceptibly fills with exactly enough coinage to pay for the need and not a penny more. Attempts at extravagant spending will not be funded by the purse, nor will attempts to purchase magical items. A small number of these purses (10%) function on a higher level. They fill with just enough money in the same way, but only for items bought on another's behalf to foster a closer relationship with the purse's user. Purses of this type know when the relationship has crossed the line from genuine friendship to outright greed, and they will cease to function for relationships that have turned abusive or exploitative. This type of Maslow's Purse has earned the nickname "Friend Purse". Rarely (1% of the time) Maslow's Purse will function at its highest level, paying for anything that helps the user reach their full potential. The determination of what "full potential" means and thus what the purse will pay for falls entirely within the GM's purview, from the paper and ink required to create a great saga, to materials and labor needed to build a castle that will stand for a thousand years, or perhaps the best adventuring gear money can buy so the user can become an unstoppable force of exploration. Since the purse conjures coins, the money must come from somewhere else. The user may need to explain why the kingdom's treasury seems a bit light at the exact same time the user starts spending more than their fair share at market on gifts for friends. On a personal note, Maslow's Purse probably wouldn't fund my upcoming home renovation project, no matter how much I want upgrading my perfectly usable shelter to fall into the "need" category.